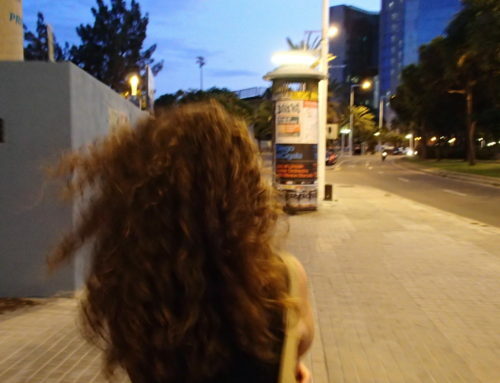 We learned an expensive lesson about using Ibiza parking meter machines. So we thought we’d share our experience to hopefully help others avoid getting a ticket for the same thing. One day, we drove our rental car to Evissa and parked in a marked spot on the street (metered spots have blue lines, but no numbers). Michael put money in the meter for one hour and then placed the receipt on the window. He had trouble seeing the screen because due to the sun’s position, there was a huge glare on the machine. We returned 15 minutes later and there was a ticket on the car! Confusion and anger! We read the ticket, but could not decipher the reason for the violation, so we went to the rental car office and asked the staff to read the ticket for us. She said we got the ticket because we did not enter the car’s license plate number into the meter. What?! Our immediate though was, if that is a requirement, then the meter should display a message and not complete the transaction until it is entered (just like the validations you find on nearly every shopping website when there are required fields). 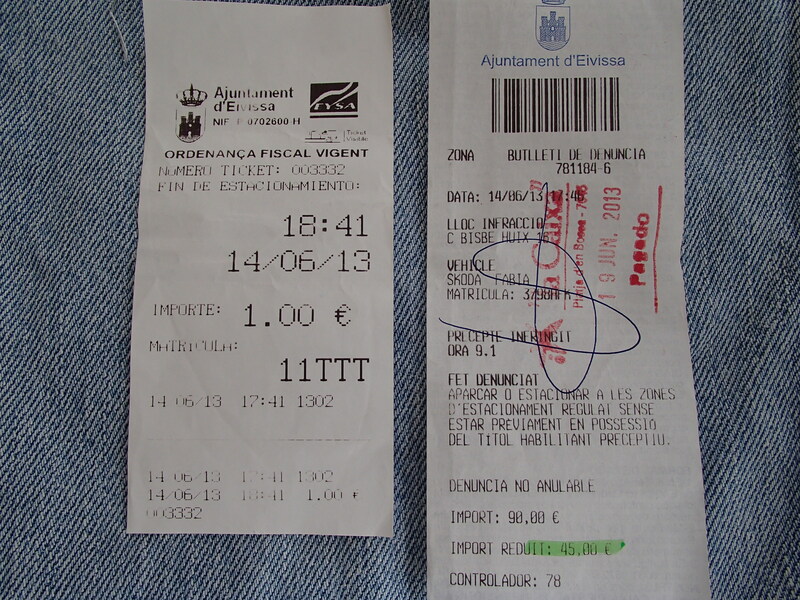 We learned that it is easy to pay a parking ticket in Ibiza. There are several options. One is to go to any Caixa Bank and pay at the counter. And if you pay within the first 20 days, the fine is reduced in half from E90 to E45. 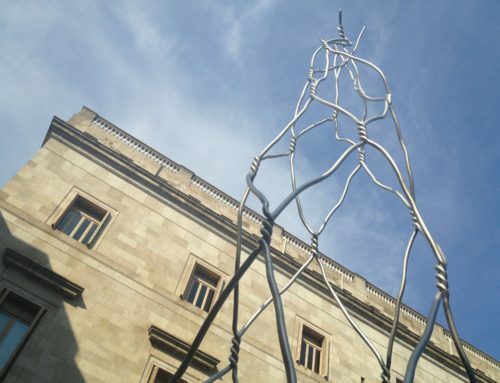 So, the next day we headed over to the Caixa Bank down the street. When we arrived at 4:00, the bank was closed, so we returned the next morning. This time, the bank was open and we paid the ticket in cash. But Lori was frustrated and thinking that something seemed out of sorts, so she did some research to see if others have had the same experience. She found two helpful blog posts about getting a ticket after the meter expired: Just a Minute! How to – Parking Tickets and How to Handle a Parking Fine in Ibiza, but nothing about our situation. So, Lori reached out to see if someone could answer our questions about the parking meter regulations. She completed the contact form on the city of Evissa website, but did not receive a reply. She contacted two Ibiza websites that we’ve used a lot on our travels. One wrote back and partially answered the questions. One did not reply. Then Lori sent a direct message to a Tripadvisor forum member who has answered several Ibiza questions, but the person did not reply. Finally, she posted a question on Tripadvisor’s Spain forum and MouseyMouse replied right away with helpful information – thanks so much to MouseyMouse! We learned that the island recently changed the parking meters and the new system has caused some confusion for drivers. While it is possible to dispute a ticket, in our case it was not worth the effort because the rules do require drivers to enter the plate number in the machine. This is to prevent people from sharing receipts with other drivers if there is time left on their meter. Lori works in the information technology field and knows it would have been easy to include simple validation code in the software to require users to enter a license plate number. It is unknown why it was not included – oversight, lack of time, lack of resources, or intentional omission? If Lori had been working on the project, she would have strongly recommended the validation. When you use parking meters in Ibiza, enter your license plate number in the machine. If you return late and get a parking ticket, follow the advice of the two posts above to pay a reduced fine. 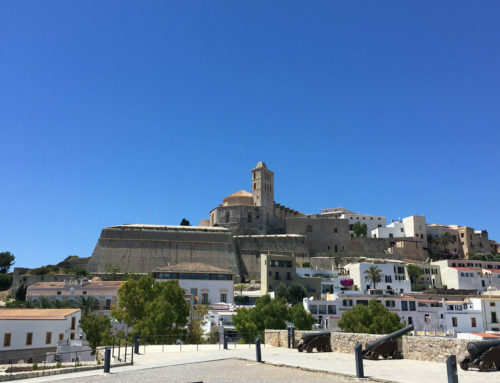 It is possible to appeal a parking ticket in Ibiza within one month from the day of notification by contacting the General Register of the City, but we could not find out exactly how to do it.